"Great for Conferences, Gift with purchase, Seminars, Aged Care, Automotive, Councils, Healthcare, Professional Services & Retail"
Microfibre covered metal sunglass case with matching 250gsm/120denier superior Microfibre lens cloth. Full colour custom design on case, and lens cloth (1 side). Choice of Black or Beige interior lining (please specify). 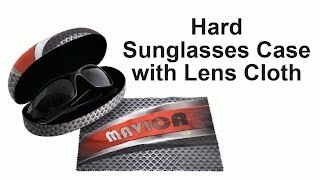 Lens Cloth suitable for cleaning sunglasses, eyeglasses, pda's, smart phones, e-book readers, camera lenses, monitors, collectables and tablets while metal case provides safe storage for your glasses. Your choice of zig zag or straight cut edging on lens cloth. If not specified, zig zag supplied as standard.